A dog mummy has revealed the first archaeological evidence of bloodsucking parasites plaguing Fido's ancestors in Egypt during the classical era of Roman rule. 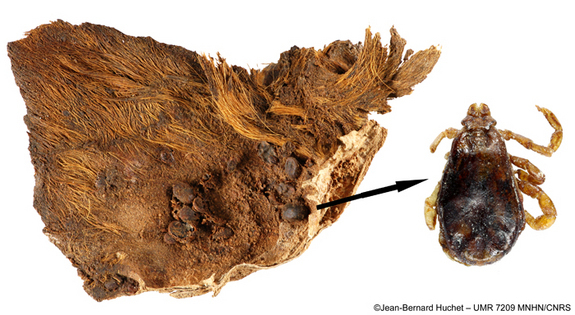 The preserved parasites discovered in the mummified young dog's right ear and coat include the common brown tick and louse fly — tiny nuisances that may have carried diseases leading to the puppy's early demise. 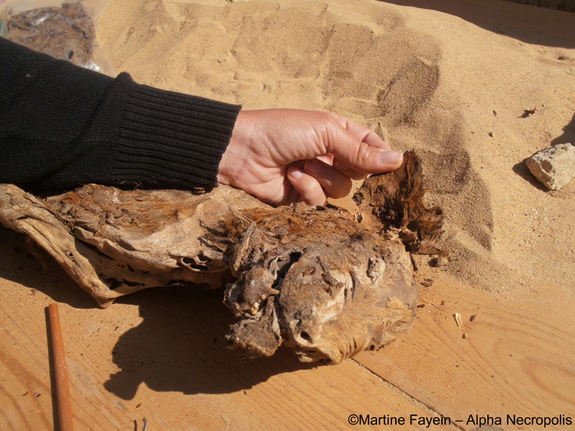 French archaeologists found the infested dog mummy while studying hundreds of mummified dogs at the excavation site of El Deir in Egypt, during expeditions in 2010 and 2011. The infested dog mummy was discovered in one of many tombs surrounding a Roman fortress built in the late third century A.D. Most of the main tombs were built during a period dating from the fourth century B.C. to the fourth century A.D. — a treasure trove for archaeologists, despite the condition of many of the mummies. 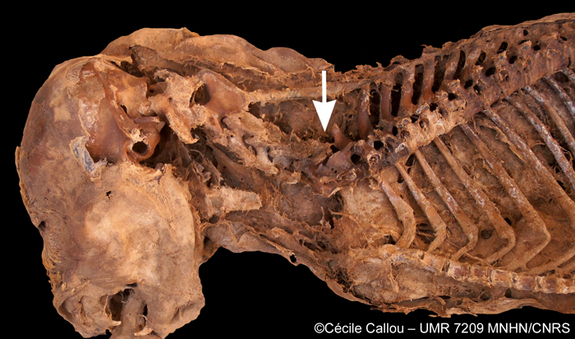 The French team detailed its findings in the August online issue of the International Journal of Paleopathology. Huchet and his colleagues, led by Françoise Dunand and Roger Lichtenberg of the University of Strasbourg in France, found the remains of the parasite-ridden pup among more than 400 dog mummies. "Among the hundreds of dog mummies studied, [many] of them were either skeletonized or still wrapped with bandages," Huchet told LiveScience. "Moreover, most of the dog remains were seriously damaged by looters." The infested young pup stood out with 61 preserved brown dog ticks still clinging to its coat and nestled in its left ear. Such ticks have spread worldwide by feeding on domesticated dogs. They can also infect their hosts with a variety of potentially fatal diseases. Archaeologists also discovered a single bloodsucking louse fly clinging firmly to the dog's coat. But the team hypothesizes a tick-borne disease such as canine babesiosis — a condition that destroys red blood cells — likely caused the young dog's premature death. Ancient Egyptians commonly mummified animals such as dogs, cats and long-legged wading birds called ibis. The dog mummies from the El Deir site almost certainly represented offerings to a jackal-headed Egyptian god such as Anubis or Wepwawet. "Several reasons have led Egyptians to mummify animals: to eat in the afterlife, to be with pets, etc.," said Cecile Callou, an archaeozoologist at the National Museum of Natural History in Paris. "But above all, animals were considered as living incarnations of divine principles and, therefore, associated with deities." But many questions remain about the mummified dogs of El Deir. Researchers still want to know where the dogs came from, whether they were domestic dogs, whether they had owners and how they died. Callou pointed out that the ancient Egyptians had cat farms where cats were bred to be sacrificed and mummified — could the same have been true for dogs? The French archaeologists hope to find answers to a different set of questions by searching for more preserved ticks and flies among the mummified dogs of El Deir. Such archaeological evidence could show how diseases originated throughout history, provide clues about the geographical spread of parasites, and reveal more about the relationship between parasites and both human and animal evolution. Specialized lab equipment could yield even more findings from the infested dog mummy and its companions. The French team conducted most of its work on-site at El Deir and completed the examination with highly magnified photos at the National Museum of Natural History in Paris but hopes to eventually get permission to take some mummified samples back to the lab. "The main problem will be to get the authorization to export mummified samples from Egypt for DNA analysis, since this country does not allow any exportation of archaeological material — even tiny samples such as skin fragments and hairs," Huchet said.